Australian captain Michael Clarke believes the upcoming ODI tour of England will be helpful preparation for next year's Ashes Series, but he maintain his men are not yet thinking about regaining the urn. The ODI squad flew out on Thursday for a 5-match series against England and one in Ireland. Australia A will also follow the national team to England in July and August to play 2 three-day and 2 four-day matches. The result is that the vast bulk of Australia's likely Ashes squad will have the chance to explain - or reacquaint - themselves with English situation a year out from the Test series. For young men like Pat Cummins and James Pattinson the experience will be especially valuable as they aim to become familiar with the Duke Ball, the variation in swing and seam group and the venues they will see come Ashes time. It is important they get some cricket in English conditions, whether that with the ODI team or they stay on with the Australia a team and play a couple of those games, Clarke said of his youthful bowlers. But I think just life form in England, seeing what conditions are like; if they get a chance grab it with both hands. The Ashes is a long way from my mind right now. But any chance you get to play in the same conditions as you are going to play in 12 or 15 months' time can only be good for a team. I think a lot of guys caught up in this ODI squad have a big chance of being part of the Ashes team in 12 months' time. I think it's really imported we get as used to to those conditions as we can and have some success over there. This week, the Australians were presented with the ICC's ODI shield after finishing the season as the No.1-ranked ODI side, despite their struggle at the World Cup last year. In the past 12 months, Clarke men have win just over half of their ODI matches and while they haven't lost a series during that time, they have had some close including a 2-2 draw with West Indies in March. We’ve been the No.1one-day team in the world for a while now, Michael Clarke said. But we need to continue to raise the bar. I think our cricket in the shorter form of the game of late has not been as consistent as we would like. Once we get on a plane today it's most likely the start of a 2-year journey for this Australian team, whether it is the ODI team, the Test team or the T20 team, to have a lot of winner and get back to being the No.1 team in all 3 forms of the game. Australia will need to find their peak ODI form without one of their top players, after Michael Hussey withdrew from the tour. Peter Forrest has been drafted into the squad to replace Hussey but he might not at first find a place in the starting line-up, with Clarke, George Bailey, David Hussey and Steven Smith all available for middle-order positions. Clarke said there was no doubt in his mind who would take the Michael Hussey role of routing the middle-order towards the end of difficult chases. Fortunately God gave us a brother to Michael Hussey, Clarke said. We are very lucky we have got David. Last summer I think he got to show the nation that he cannot just play at the highest level but can be very victorious. I am pretty sure while Mike Hussey is away, Dave Hussey will be there to fill those boots. Australia won’t be the only ones missing a key senior batsman during the series, which will be England's 2nd since the retirement of Kevin Pietersen from the format. The Australians will keep an eye on how England perform without Pietersen during the upcoming ODI series against West Indies, but Clarke said he was pleased the Australians would not have to worry about counter him this year. I am surprised that he retired from the shorter form of the game, because of how excellent he is, Clarke said. And he's only 31 years of age. Clearly the ENGLAND CRICKET BOARD has different rules to Australian players in regard to our contracts - I'm not part of the T20 team but I am still eligible to play ODI cricket and vice-versa. As an opponent player to Kevin Pietersen, I am thrilled I don't have to play against him in ODI cricket because he is such an excellent player. He is had a lot of success and he is match-winner. 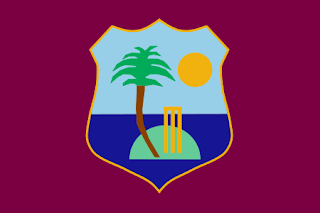 But excellent players for England Team in their team, they enjoy the shorter form of the game, they have got some good talent coming during and they are running high with self-confidence after just beating West Indies.